“Our job is not to predict the future. Rather, it’s to suggest all the possible futures—so that society can make informed decisions about where we want to go.” That’s Robert J. Sawyer writing in Slate last week, in an essay called “The Purpose of Science Fiction.” Sci-fi, Sawyer argues, isn’t purely “fi.” Sci-fi writers open public discourse on real-world scientific developments, advise governmental organizations like NASA and the Department of Homeland Security, and ask philosophical questions that lab-bound scientists are rarely able to. Scientists are of course somewhat human. So perhaps it should be unsurprising that they can sometimes have fun with — or make fun of — their own work. But in the 19th century that work — describing species no one had ever imagined — was also often fantastical. It is hard for us now to appreciate just how strange and wondrous the world seemed. It was as if someone you know had joined an expedition to Alpha Centauri and come back years later with first-hand accounts of Wookiees, Ewoks and Kowakian monkey-lizards. But in the great age of biological discovery, the returning travelers actually brought back specimens. Their weird creatures were real. Perhaps because we no longer get quite the same shock from specimens found in nature, we have become adept at conjuring up weird specimens of our possible futures and calling them real. Back then, I was often away from home for weeks at a time, traveling in distant countries with biologists whose work sometimes required them to do the equivalent of sailing in a sieve. One botanist, for instance, recalled flying out of a war zone in a cargo plane that also carried a pig tied to a 55-gallon drum of gasoline. The Jumblies would have been right there (and probably flicking ashes from their cigars). But it never occurred to me that there might be a direct connection between the two worlds of nonsense verse and biology. Then one day I picked up an old print of a tropical pigeon species and noticed the “E. Lear” in the bottom corner. Though he is celebrated today mainly as the author of such works as “The Owl and the Pussycat,” Lear had started out as a naturalist. 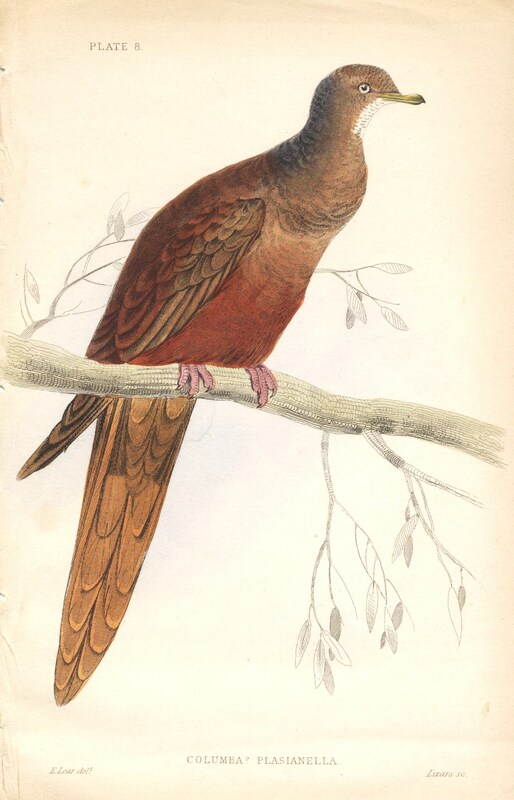 His first book, Illustrations of the Family of Psittacidae, or Parrots, drew favorable comparisons with Audubon when he published it in 1832, at age 19. He published detailed descriptions of hundreds of species. And in a speculative moment in 1945, he came up with a sweeping hypothesis for the evolution of the butterflies he studied, a group known as the Polyommatus blues. He envisioned them coming to the New World from Asia over millions of years in a series of waves. Nabokov once described the years he spent working as a professional lepidopterist at Harvard’s Museum of Comparative Zoology as ”the most delightful and thrilling in all my adult life.” He found the work so rapturously diverting that at one point Vera, his wife, had to speak to him sternly about his true calling. Sulking, Nabokov pulled the manuscript of his latest novel out from under a pile of butterfly articles and recollected that, oh, yes, he could write, too. Heroic Naturalists or Imperialist Dogs? Here’s the latest column in my Specimens series for the New York Times. 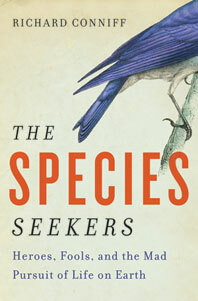 What does it mean to discover a species? Who should get the credit for it? Why did early naturalists think it worth risking their lives, and often losing them, to ship home the first specimens of a previously unknown butterfly or bat? These turn out to be tangled questions, and it is easy to get stuck on the thorns. My irritated reader had a point, of a misguided sort. It’s common these days to dismiss the scientific classification and naming of “new” species as just one more Western appropriation of other peoples’ natural resources, and the golden monkey can seem like a particularly egregious instance. 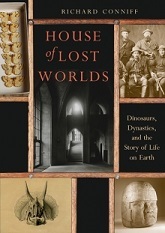 Europeans first saw the species in the form of images in Chinese paintings and porcelains. But it looked so odd, with a fringe of flame red hair around its bluish-white face, that they mistook it for a figment of the Chinese imagination. 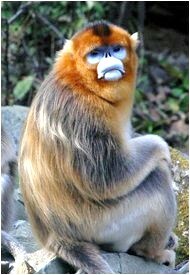 David himself may never actually have seen these mountain-dwelling monkeys in the wild. Instead, his Chinese hunters brought him six specimens in the course of a long and productive expedition into western Sichuan province. David shipped the specimens back to Paris, along with more than 100 other mammal species. 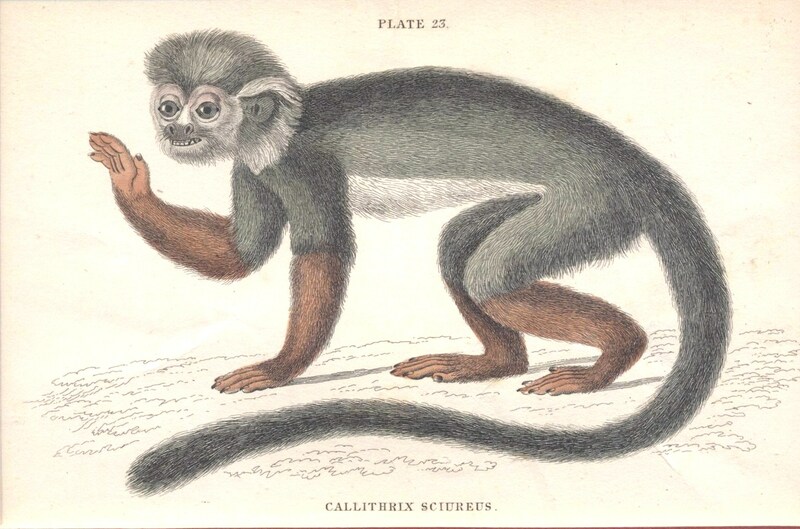 There, in an act of blithe cultural hodgepodgery, a French naturalist described the golden monkey in a scientific journal and gave it the species name roxellana to commemorate the Ukrainian wife of an Ottoman Turkish sultan, Suleiman the Magnificent, because monkey and wife both had distinctive up-turned noses. You can see how this might leave people in China feeling a little left out. Nor were they alone. The truth is that many of the species discovered by early naturalists had already been known to local people, sometimes in great detail, long before outsiders arrived to describe them scientifically. Moreover, the naturalists often depended on knowledgeable locals to show them what was there, and seldom gave proper credit for the help. But to call this local knowledge “discovery” is like saying Newton didn’t discover gravity, because people already knew that things have a way of falling down. In the early 1890s, the Italian government sent out a mission to secure its colonial pretensions to an Ethiopian protectorate. Prince Eugenio Ruspoli, the son of the mayor of Rome and scion of a venerable noble family, seems to have played the multiple roles of emissary, leader of a conquering military force, explorer, and great white hunter. He apparently wrote a book about his time in Ethiopia, In the land of Unexplored Africa and Mirra, published in Italian in 1892. On re-crossing the river to Aveyros in the evening, a pretty little parrot fell from a great height headlong into the water near the boat, having dropped from a flock which seemed to be fighting in the air. One of the Indians secured it for me, and I was surprised to find the bird uninjured. There had probably been a quarrel about mates, resulting in our little stranger being temporarily stunned by a blow on the head from the beak of a jealous comrade. 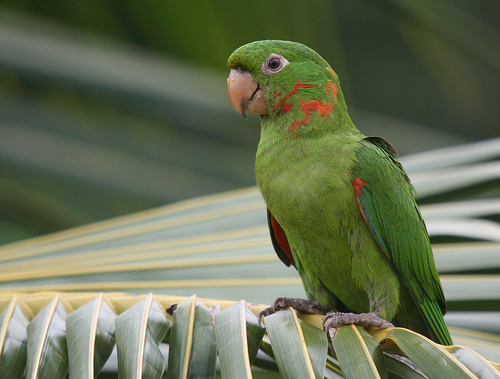 The species was the Conurus guianensis, called by the natives Maracana– the plumage green, with a patch of scarlet under the wings. I wished to keep the bird alive and tame it, but all our efforts to reconcile it to captivity were vain; it refused food, bit everyone who went near it, and damaged its plumage in its exertions to free itself. I was a dear friend of Ted’s, we both began as birders at the Lancaster County Bird Club and I went out to the University of Arizona where for a while I was part of an incredible union of like souls— Ted Parker, Kenn Kaufmann, Doug Stotz, Steve Hilty, Mark Robbins, to name a few. As you know, many of us carry on with the same sort of work that Ted was doing when he died. Sadly, death brought him a lot more legitimacy than he carried in life. There were more than a few of our colleagues who scoffed at what he did (and still scoff at those of us trying to continue such explorations). 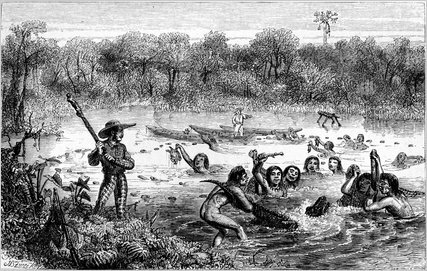 In the early 19th century, long before the rise of the conservation movement, one or two naturalists were already seeing that humans could drive down populations of certain species. And they mounted conservation efforts to protect them. In the autumn of 1807, for instance, the residents of Philadelphia were slaughtering and eating robins in such vast numbers that ornithologist Alexander Wilson resorted to conservation by false rumor. He planted a story in local newspapers advising cautious readers that the pokeberries the birds were then gorging on made their flesh unwholesome, and he was “righteously elated,” according to one historian, when his story knocked the bottom out of the robin market. Almost 20 years ago now, in western Ecuador, I traveled with a team of extraordinary biologists studying a remnant of forest as it was being hacked down around us. Al Gentry, a gangling figure in a grimy t-shirt and jeans frayed from chronic tree-climbing, was a botanist whose strategy toward all hazards was to pretend that they didn’t exist. At one point, a tree came crashing down beside him after he lost his footing on a slope. Still on his back, he reached out for an orchid growing on the trunk and said, “Oh, that’s Gongora,” as casually as if he had just spotted an old friend ona city street. We go to great lengths commemorating soldiers who have died fighting wars for their countries. Why not do the same for the naturalists who still sometimes give up everything in the effort to understand life? Neither would diminish the sacrifice of the other. In fact, many early naturalists were also soldiers, or, like Charles Darwin aboard HMS Beagle, were embedded with military expeditions. Last name, First Name, (year of birth-death), brief description of specialty and contributions, died, age ? ?, of what cause, where. Add URL for relevant link. Photos also welcome. If you want to link to this list on Twitter or elsewhere, the Tiny URL is http://bit.ly/1rf6N9E I’ll also post a notice on Twitter if I have to add new names. 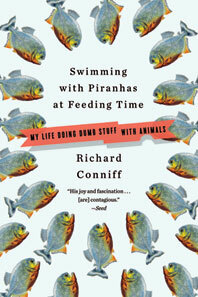 You can follow me @RichardConniff. And please be careful out there, so you do not become one of the names I have to add. Thank you. Aaronsohn, Aaron (1876 -1919), botanist who discovered wild emmer, “the mother of wheat.” He was also the founder and head of Nili, the Jewish spy network that provided critical aid to British troops in Palestine during World War I. The brilliant military campaign led by Field Marshall Edmund Allenby might have seemed to outsiders to take unwarranted risks, the chief of British military intelligence later said, but “That is not true. For Allenby knew with certainty from his intelligence [in Palestine] of all the preparations and all the movements of his enemy … Under these conditions, victory was certain before he began.” Aaronsohn died, age 43, in a plane crash on route to Britain after the war. Abe, Katsumi (c.1953-1998), Japanese researcher of the evolution and behavior of planktonic bioluminescent ostracodes (minute crustaceans known in Japan as “marine fireflies”), died, in his mid-40s, driving home late from a conference. Abe, Takuya (1945-2000) termite ecologist at Kyoto University, drowned, age 55, when his small boat was caught in a storm during an expedition on the Sea of Cortez. Abramchuk, Siarhei (1984-2010), promising young Belarusian ornithologist, of encephalitis, age 26, after a tick bite in the national park Belavezhskaya pushcha, Belarus. Adams, Charles Baker (1814-1853), American malacologist, named about 800 species of mollusks from Jamaica, Panama and eastern USA, died, age 39, of yellow fever, St. Thomas, Virgin Islands. 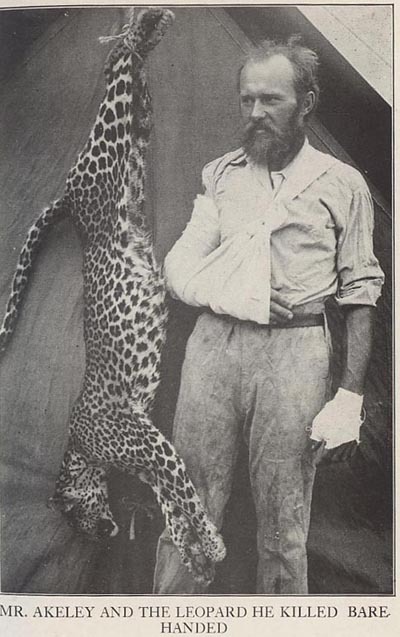 Akeley, Carl (1864–1926), naturalist-taxidermist for the American Museum of Natural History, age 62, while collecting mammals in the eastern Congo, of dysentery. Alberico, Michael S. (1947-2005), American mammalogist, namesake of Alberico’s broad-nosed bat, died, age 58, in a robbery as he was getting into taxicab in Cali, Colombia, immediately after taking money out of an ATM. Alexander, Capt. 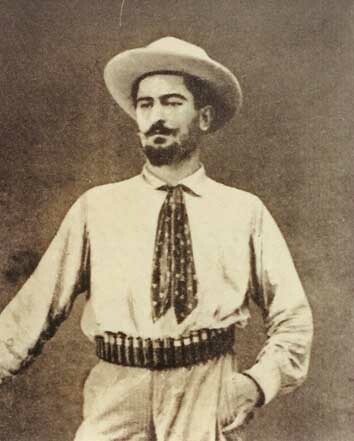 Boyd (1873–1910), explorer and ornithologist, was murdered, age 37, in what is now Chad. Anchieta, José Alberto de Oliveira (1832-1897) was a Portugese naturalist and collector who traveled widely in Angola and Mozambique. He died, age 66, probably from chronic malaria, when returning from an expedition to the Caconda region of Angola. He was responsible for identifying 25 new species of mammals, 46 of birds and 46 of amphibians and reptiles. Three birds, seven reptiles and four mammals are named after him. Anderson, James D. (1930-1976), herpetologist and taxonomist at Rutgers University who described several snake and salamander species, died, age 46, in a car accident on a field trip to study bog turtles. The species Ambystoma andersoni, which he discovered in Mexico, was named in his honor. Anderson, William (1750–1778), surgeon-naturalist on Cook’s second and third voyages, at sea, age 27, possibly from scurvy. 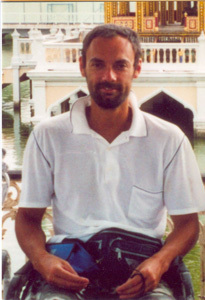 Archambault, Noel (1961-1998), IMAX cameraman, died, age 36, in an ultralight accident while filming in the Galapagos. Arenas, Miguel Ángel Soto (1963–2009), a Mexican orchid specialist who described many new species and was an outspoken conservationist, assassinated while working at home late one night, age 46. Banister, John(1650–1692), British naturalist and clergyman, shot “per misadventure ,” age 42, when he bent over to pick a plant while exploring in Virginia. Barbadillo, Pablo (1984-2008), a young Spanish biologist doing his doctoral dissertation field work on large reptiles and how humans interacted with them in Amazonian Peru. He was based at the Los Amigos Biological Station (CICRA)in the Madre de Dios department, when he traveled to a small town upriver on the Madre de Dios and did not return, age 23. Police found his body in an advanced state of decay, cause of death unknown. Barthelt, Annette (1963-1987), marine biologist from the University of Kiel in Germany, killed, age 24, with a large group of others in a terrorist attack in Djibouti while waiting to board a three-month expedition of the German research vessel Meteor in the Indian Ocean. Bassignani, Filippo (1967?-2006), Italian zoologist and lover of travel, large mammals, and the conservation of nature, died age 39, on a trip to Mozambique, after being charged by an elephant that had been wounded by poachers. Batty, Joseph H. (1850–1906), taxidermist and specimen hunter who had endured plague, drought, and other hardships while collecting for more than three years for the American Museum of Natural History. He had recently accused of fraudulent practices, when he was “killed instantly by the accidental discharge of his gun,” age 55, in Mexico. Beaulieu, Ryan (1987-2005) pioneered the banding and research program for rosy finches in New Mexico’s Sandia Mountains, killed, age 18, in an automobile accident while on a birding trip. Bečvář, Stanislav (1938-1997), Czech entomologist, shot dead, age 59, by soldiers in Laos while collecting beetles. Here’s a detailed account of the incident. His son of the same name, also an entomologist, was seriously wounded in the attack but survived and continues to do field work. Berlandier, Jean Louis (1805–1851) was a French botanist, who worked as a collector in Mexico. He drowned, age 46, while trying to cross the San Fernando River. A reptile, an amphibian, two mammals and a bird are named after him. Bergman, Robert D., (1942-1974), ornithologist, was studying waterfowl and wetland relationships in advance of development of the oil fields of Alaska’s North Slope. He died, age 31, when his plane went down in an extreme windstorm over the Gulf of Alaska. The aircraft was never found despite 750 hours of searches. Bernstein, Heinrich Agathon (1828–1865), German physician and collector of birds and mammals, age 36, on the island of Batanta off New Guinea, cause unknown. Bevins, John (1955-1990), bear researcher, disappeared, age 34, during a polar bear monitoring flight over the Arctic Ocean 240 miles northwest of Point Barrow, Alaska.